D.C. 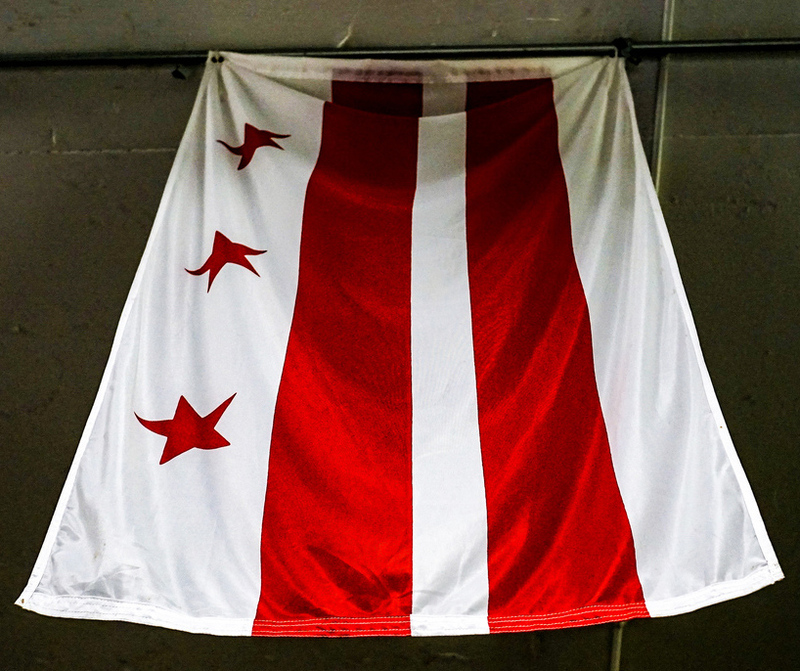 Flag; official flag of the District of Columbia. Photo by DDOT DC/Flickr (Noncommercial Use Permitted with Attribution). 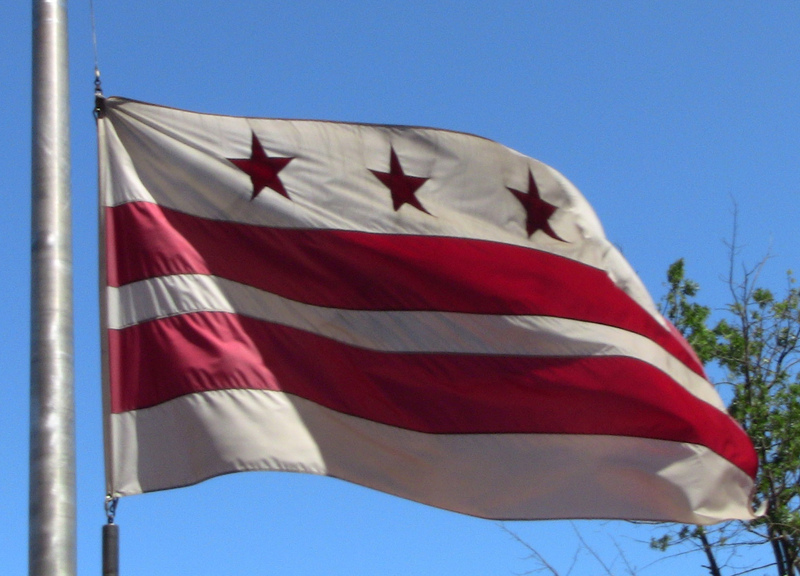 Flag of the District of Columbia; three stars over two bars. Photo by Ted Eytan/Flickr (use permitted with attribution/share alike). D.C. 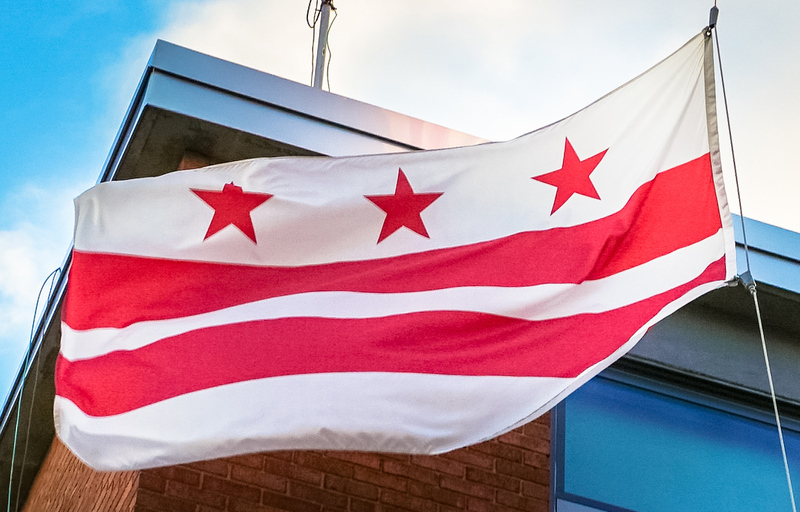 Flag; flying proudly at Garrison Elementary School, District of Columbia. Photo by Ted Eytan/Flickr (use permitted with attribution/share alike).